This is a detailed, critical study of the reforms which have been made in recent years to the law in the State of Pakistan with the ostensible objective of bringing it into accord with the requirements of Islam. Special emphasis is given to the period from 1977 when General Zia ul Haque adopted a period of Islamization. This is a field of investigation of considerable importance both for the advancement of legal and political theory and for practical purposes, especially as regards human rights. 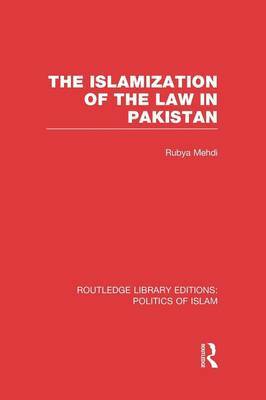 The author, trained both in Pakistan law and the concepts and practice of Islamic law, has been able to advance significantly our understanding of the doctrinal developments documented in this book.